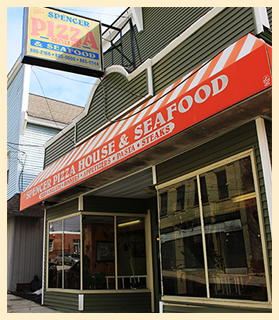 At Spencer Pizza House & Seafood we serve amazing pizza, delicious seafood and so much more! We are family owned and operated and take pride in providing quality food and excellent service! Visit us today and see why so many people consider us the best in the area. Try a salad, grinder or one of our dinners. Dine in or call for takeout or delivery.